The ex-pats in this memoirs about moving to Italy come from The Netherlands. The couple purchased a property and renovated it into their new home, and two rental properties to provide an income in their adopted land. European Union legislation makes their move to Italy simpler than it would be for non-EU residents, but in Italy that is not saying much! Their stories about finding and buying the property, and then renovating it, show that things that may be very straight forward in some countries can be anything but in Italy. Besides odd customs, unhelpful business hours, and unprofessional conduct by some so-called professionals, the stories also demonstrate how in-comers to Italy may find it very difficult to integrate with Italians. This is a translation from the original Dutch text, and it is an excellent translation. The charming accounts of life in Italy are never mean-spirited but they do convey the frustration Italian bureaucracy can generate. They also convey the joy the writer and his partner find in Italy's culture and rural landscape in the Pavia area, south of the Po River. Sometimes when reading memoirs about people moving to Italy, I have an overwhelming urge to force-feed the books to Italians so they can see how the outside world views them. Perhaps if they saw that most of the rest of the developed world functions more efficiently than they do, it might speed up improvements in the service sector, both public and private, is my thinking. If that would help, I really don't know. Just know that if you move there, you must be ready for worst-case scenarios. 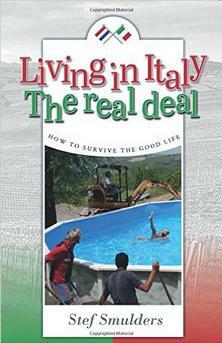 The author keeps his cool throughout everything, and offers the reader some insightful views on life in Italy. 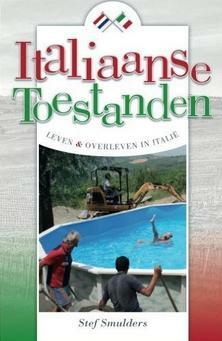 The story ends successfully for the couple, and now, five years on from the events in the book, their rentals are generally booked up by fellow Dutch and Belgians, who help the couple see Italy continually with fresh eyes, keeping their love affair with the country fresh. 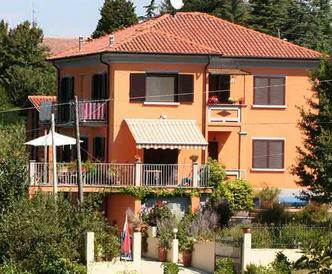 In 2008 Stef Smulders, his partner Nico and their dog Saar emigrated to Italy to start a new life and set up their B&B Villa I Due Padroni. They sold their home, left their friends and family behind and took a leap into the unknown. Now Stef shares his experiences in a collection of witty short stories. The book treats the trials and tribulations of an emigration: what it was like to buy and renovate a house, to import a car, to gain residency, and much more. The reader is introduced to a full range of Italian characters, from the trustworthy to the rogue, from the gentle to the shameless, flesh and blood Italians. Some are stereotypes, others unexpectedly original. Yet they never fail to amuse and entertain. 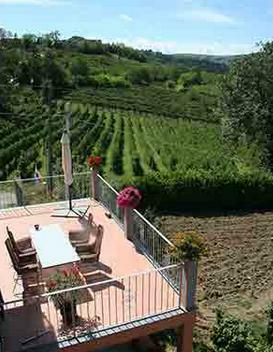 Please visit the Villa I Due Padroni B&B website.